Hi Everyone! Whoohoo! I made another Scor-pal grid card that was inspired by Mel at Mel Stampz. This one was a quicky one. . .I just added dots with a marker where the corners meet. I'll be more creative next time but I made this card late at night and just wanted to finish it up! Regardless, I am still proud of it. I'm proud of myself when I create something "different" and "new" which I don't do often now a days!! Have you ever wondered why I have two paper crafting blog sites. 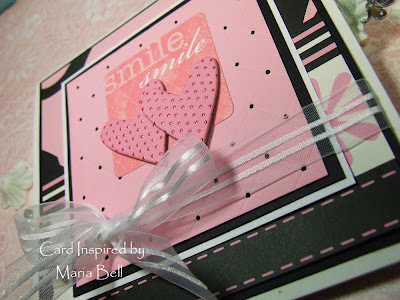 Stampin Inspirations (my other blog site) is where I post creations I make with primarily "rubber stamps". 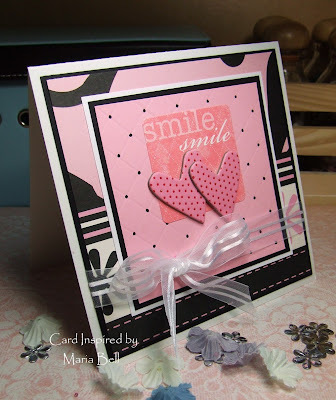 With Card Inspired (this blog site), I don't do any rubber stamping other than stamping a sentiment from time to tome. 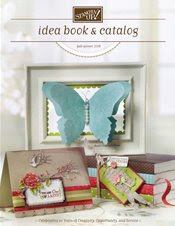 Card Inspired focuses on "paper-crafting" using scrapbook embellishments and creating scrapbook layouts, mini albums, altered projects, scrappy cards and miscellaneous paper crafting projects. Having the two blog sites help me focus on different aspects of paper crafting. 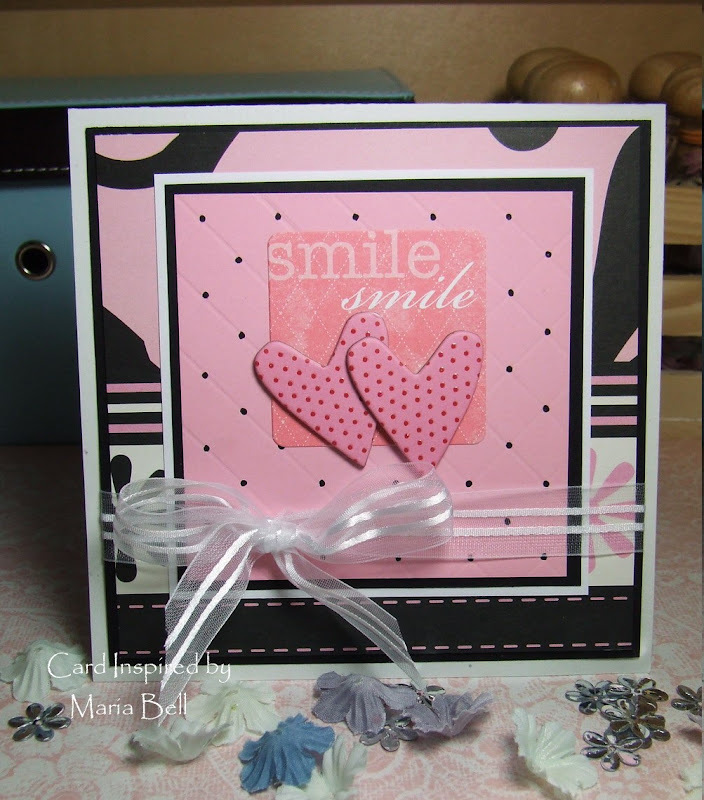 I'm primarily a "rubber stamper" but I really want to do "other" styles of card making and projects so Card Inspired helps me to switch gears. Otherwise, I probably would only stick to "rubber stamping". I often wondered if I should just maintain one blog site and mix the two focuses but I'm afraid that I'll only focus on rubber stamping and will neglect creating "scrappy projects". I guess my questions is. . .should I continue to maintain the two blogs . . .which really isn't much of a problem but as readers, do you like the idea that I have two blogs that focus on different areas of paper crafting? Your input would really be helpful. Please don't tell me to do what I feel like doing. . .blogging is not only about what I like to do. . .it's also about the readers and what they like to see and read. Here's another card I made. Gosh, I love, love the this designer paper by "DCWV". It's so pretty. I used the same designer paper with my card above but you can't really tell, huh! The paper has a layered design so parts of the paper have different designs. So fun!! I love the "butterfly fabric covered button" by K& Co. It's such a pretty button. This was a super quickie card. I think I made it in 15 minutes. Seriously! I just stuck the flower, the button, added the sticker, ribbon, and cut the border with the Fiskar "Cloud" scissors. That's it! I LOVE quickie cards!! Hope y'all are having a GREAT day and don't forget to take my poll! Wow I love your cards, so pretty, I love all your blogs I voted doens't matter, i will look at them all. I don't know how you do all that you do, I know it all takes lots of time. Keep up the wonderful work, I love it all. 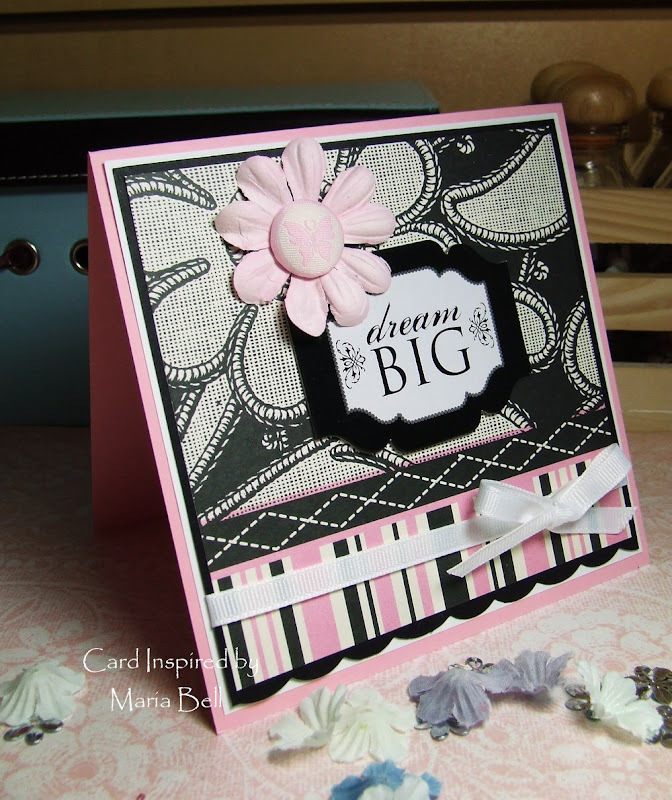 Beautiful cards Maria! 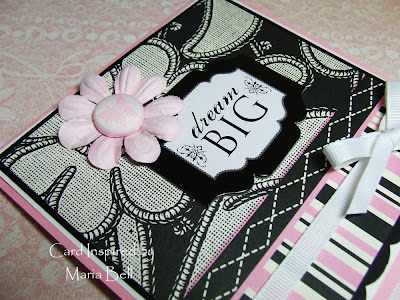 I luv both cards, that DP is so gorgeous, I luv black & white!!! I like all you blogs but the idea of one blog appeals to me because they are still cards & projects no matter where you put them. I would think that having one blog would help you out as well. You could continue doing what you do but post them all on one blog! Only my opinion but in the end it is up to you & what makes you comfortable & happy! You will still have your SU blog as well! Good luck & I will still be here no matter what you do!!! so I put everything scrap/stamp related in one place. Very beautiful cards, I love the colors. These cards are so pretty! I love all of the detail that you put into your cards!!! Wonderful cards. I just LOVE pink and black ! It is a fave.